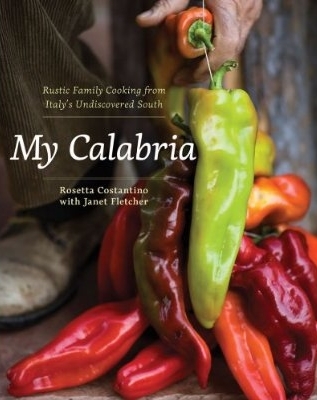 I remember fondly the sacrosanctness of tradition while growing up in southern Italy. Certain dishes are prepared only in certain ways. Well, I like to defy some silly traditions, and experiment a bit. Here's a way a preparing salted cod fish that is slightly inspired by the traditions of Northern Spain. I used boneless pieces of baccala' for this dish. 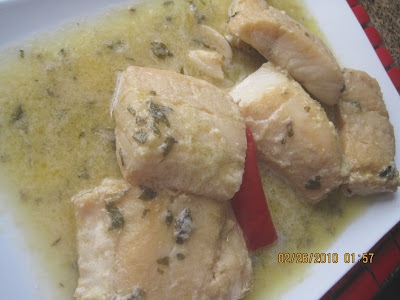 1 cup of white wine, 1 cup of apple cider fresh herbs (a small pinch of tarragon, and fresh marjoram) Cook slowly until tender, but do not overcook as to break the cod fish apart. Also, remember not to add salt as you make this dish. Residual salinity comes with the territory.